An FBI agent who was injured during a weekend shootout in a Kansas motel was still in the hospital Monday. Two deputy marshals also were shot and have been treated and released after the Saturday night shootout, the Associated Press reports. 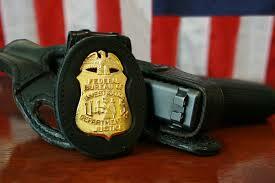 The FBI agent was in good condition Monday. The shootout happened after a fugitive task force attempted to arrest 28-year-old robbery suspect Orlando Collins. The federal officials were shot at, and a fire erupted inside the motel. Investigators are still trying to identify the body found inside the suspect’s room, which was gutted by a fire. Posted: 4/26/16 at 9:22 AM under News Story.